Walter Richard Sickler was born on December 2, 1926, in Council Bluffs, Iowa. He was the third of four children born to Floyd and Ethel Sickler. After his father died, Walt's family moved to Doty, WA, where he met the love of his life Betty Lou Nelson while working in her family's strawberry patch. Walt and Betty were married on June 24, 1945. After serving in the Navy, he and Betty moved to Seattle, Washington. 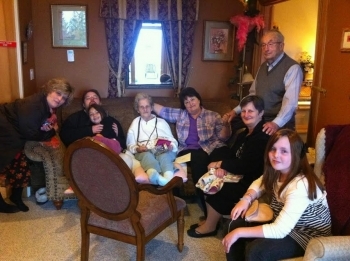 He is survived by his daughters, Patricia (David) Tucker, Shirley (Nick) Alonzo, and Virginia Berry, his grandchildren Deborah (Ron) Powers, Andrew Tucker, Rachel Berry and Katherine Berry, and his great-grandchildren Chad Powers, Caleb Powers, Mercedes Tucker, Tyler Jordan, Hannah Jordan, and Hannah Hamilton. He was preceded in death by his brothers, Floyd Sickler, Hank Sickler, and his sister, Shirley Fowler. At the invitation of Lewie Starr, in the early 1950's, Walt and Betty and the girls began attending Galilee Baptist Church. 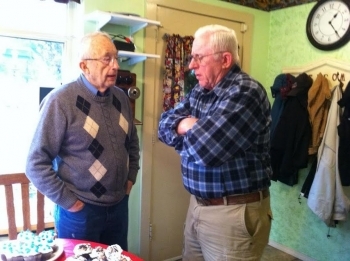 Walt served the Lord in several areas at Galilee and was chairman of the deacon's board for many years. Walt began working at Seattle City Light as a lineman's apprentice. He retired 40 years later as Director of Operations. 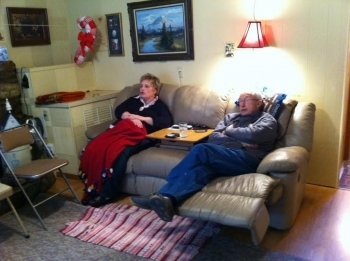 After Betty's devastating stroke in April 2010, Walt moved to live at the Gold Bar cabin full time. This move was made possible with the loving support and care of the Hamilton family, who he loved as his own. This past June, Walt and Betty celebrated 67 years of marriage. Walt demonstrated his love and devotion to Betty by visiting her twice a day, every day, at the P.A.T.H.S. 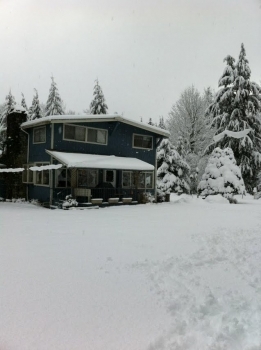 Adult Family Home in Monroe, WA. Mariam Zinn and the caregivers at P.A.T.H.S. also looked after Walt and were a great source of support and comfort to him. Walt was diagnosed with pancreatic cancer on February 2nd. 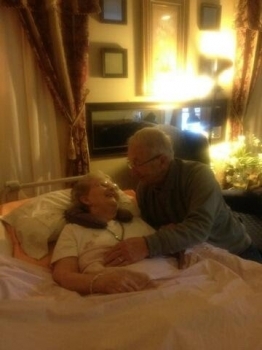 He was able to spend the last hours of his life at P.A.T.H.S., sharing the same room with Betty. He went to be with the Lord early in the morning on February 13th. 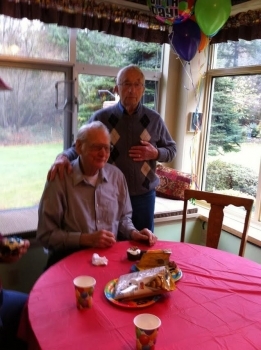 Our dad was an incredible example of Christian love, generosity, devotion to family, and kindness to all. We so look forward to the day when we will be with him again in our heavenly home. ...of this very thing, that He who began a good work in you will perfect it until the day of Christ Jesus.